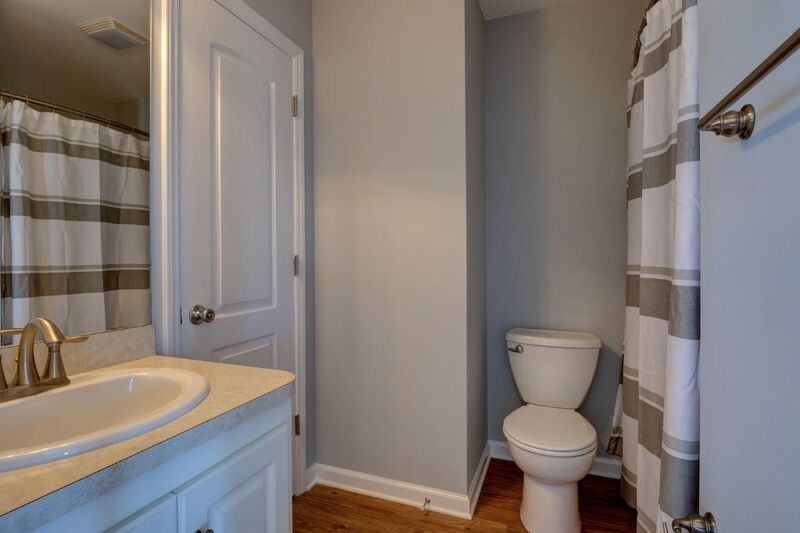 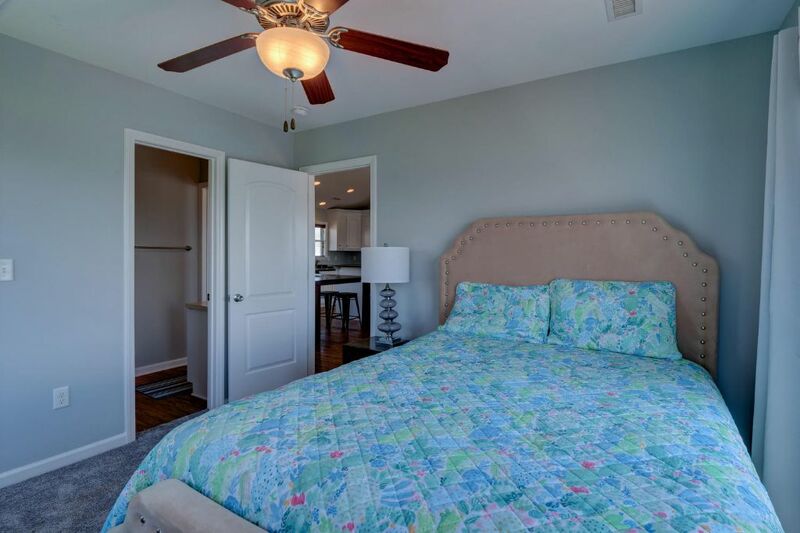 Linens are not included with this property but if you should need them, please contact us for pricing. 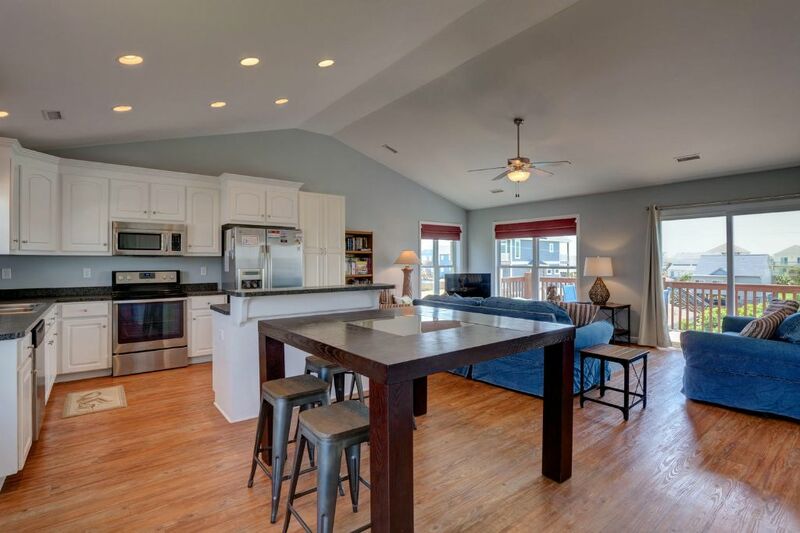 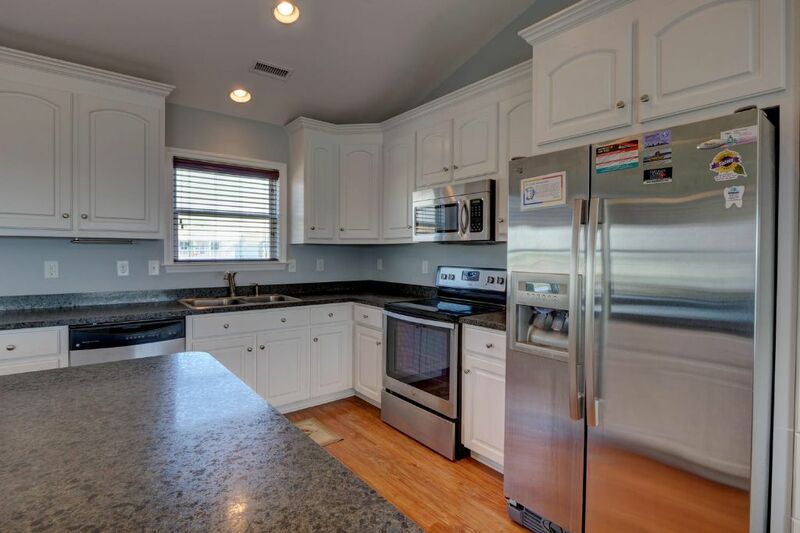 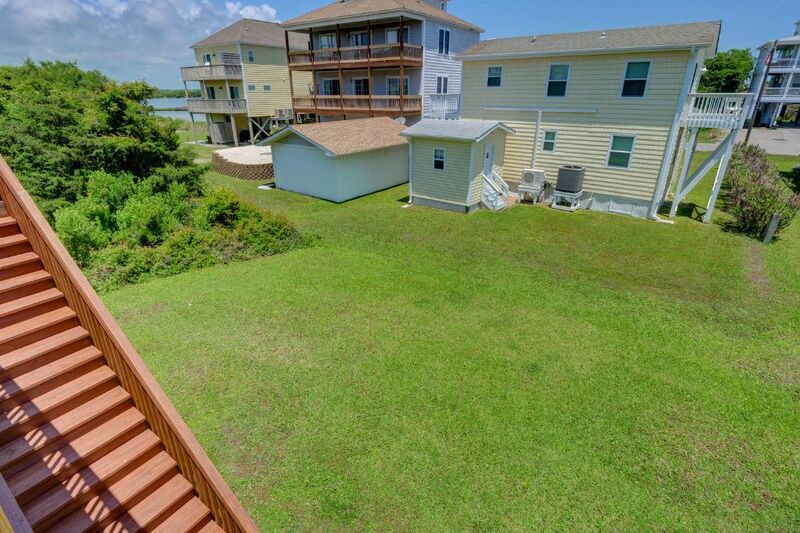 This immaculate vacation home is located in North Topsail, tucked away on the canal streets. 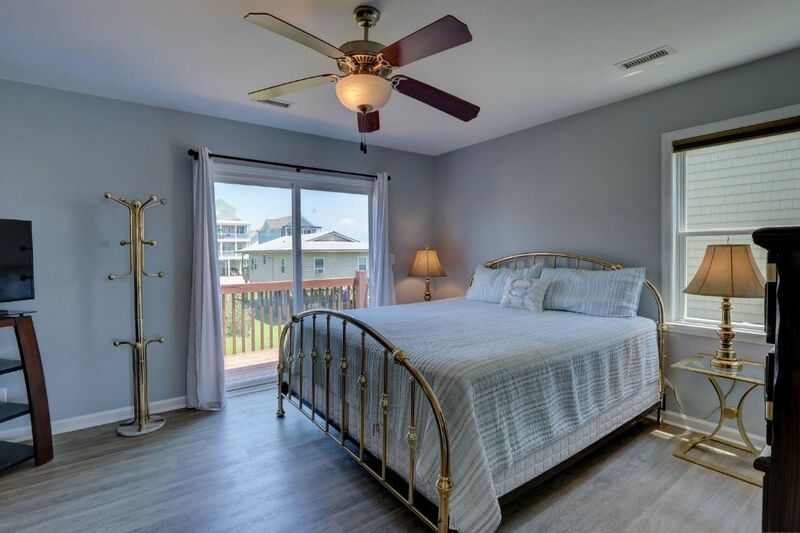 Enjoy the serenity of this area of the island, while remaining in close proximity to restaurants and seafood markets, unique boutiques and local shops, the fishing pier, and other area attractions. 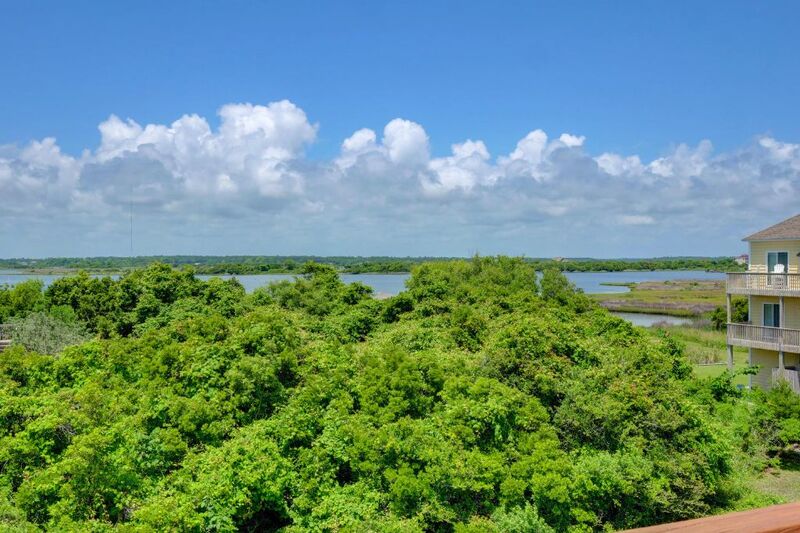 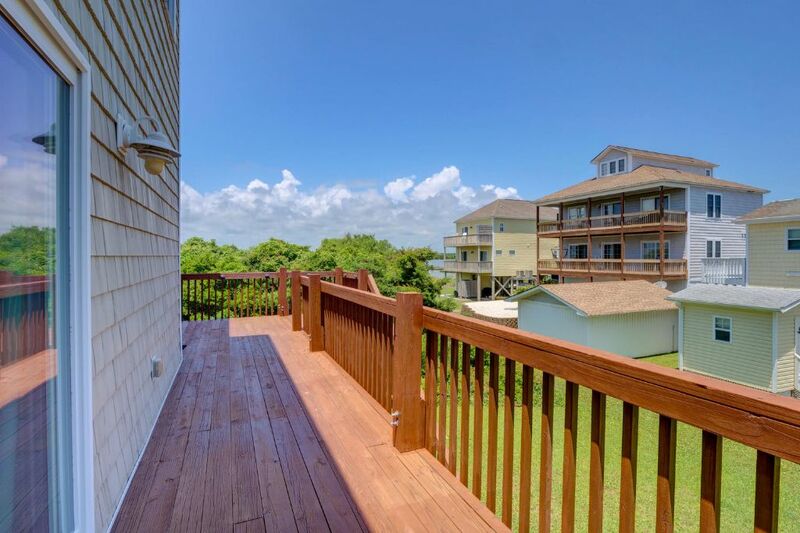 Enjoy the best of both worlds with breathtaking views of the Atlantic Ocean, plus the Intracoastal Waterway! 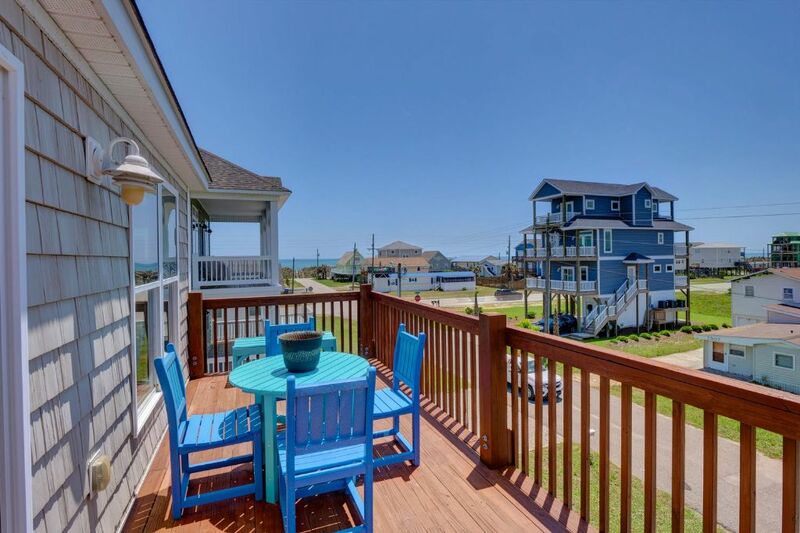 This 4 bedroom, 3 bath coastal retreat comfortably accommodates 10 guests, with modern upgrades, beautiful furnishings, and trendy decor. 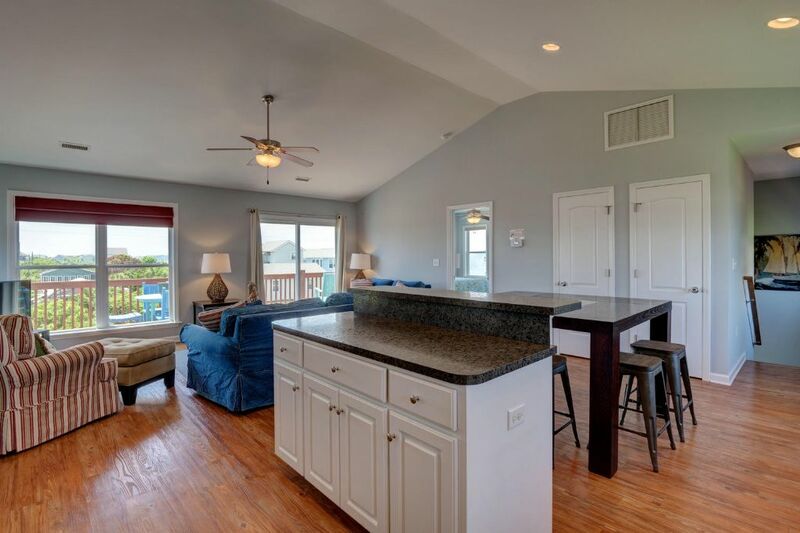 All you could ask for in a beach-side vacation home! 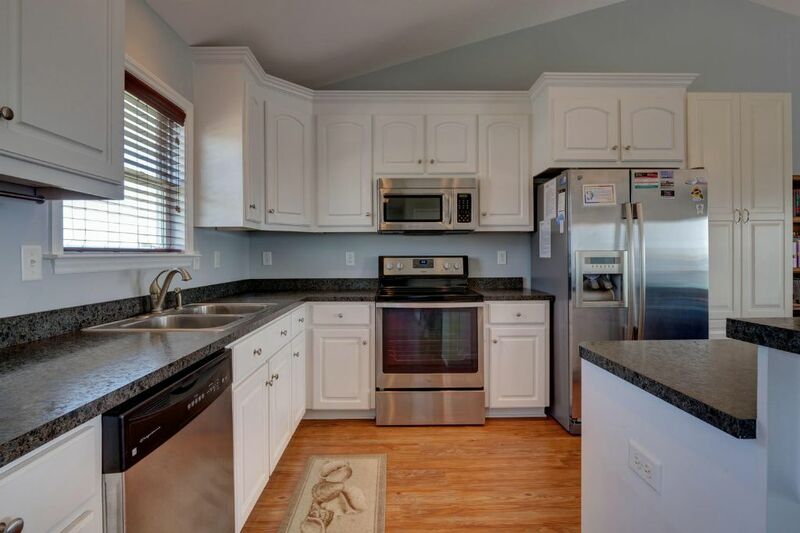 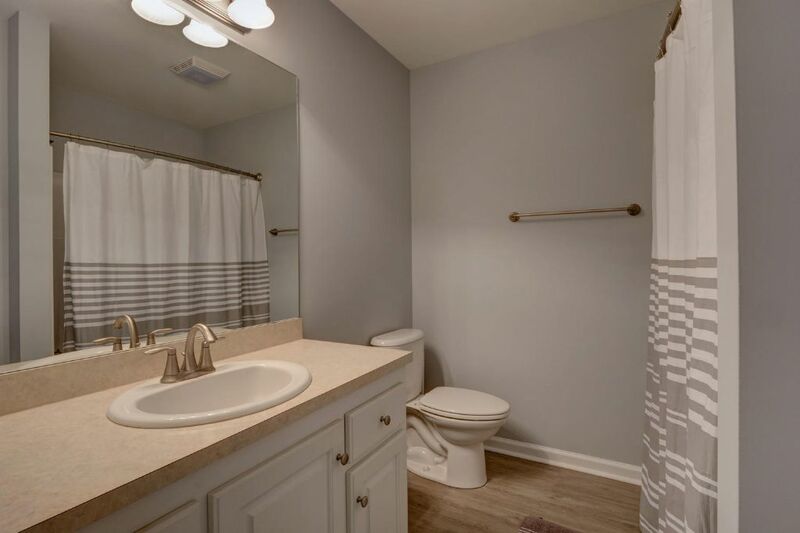 The kitchen area is pristine with top-of-the-line stainless steel appliances, including everything you need to prepare meals with ease while on vacation, no struggling with outdated appliances! 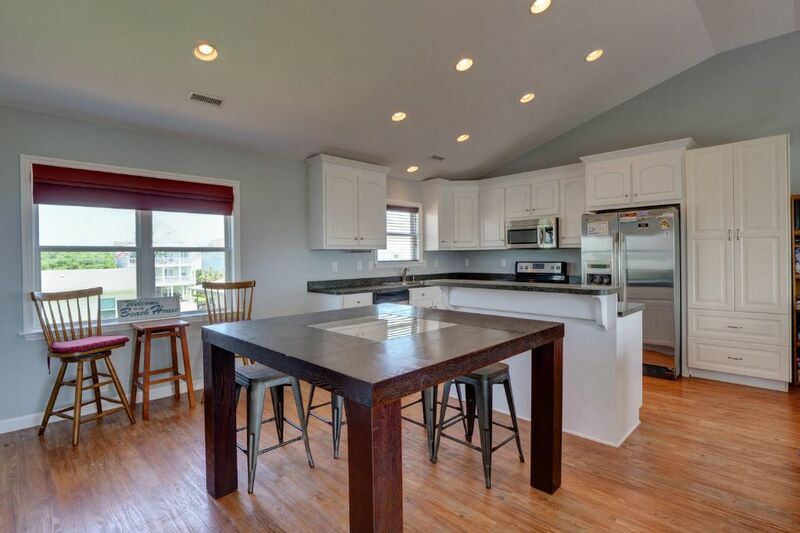 Combined seating from the kitchen bar stools and adjoining dining area seats 10 guests. 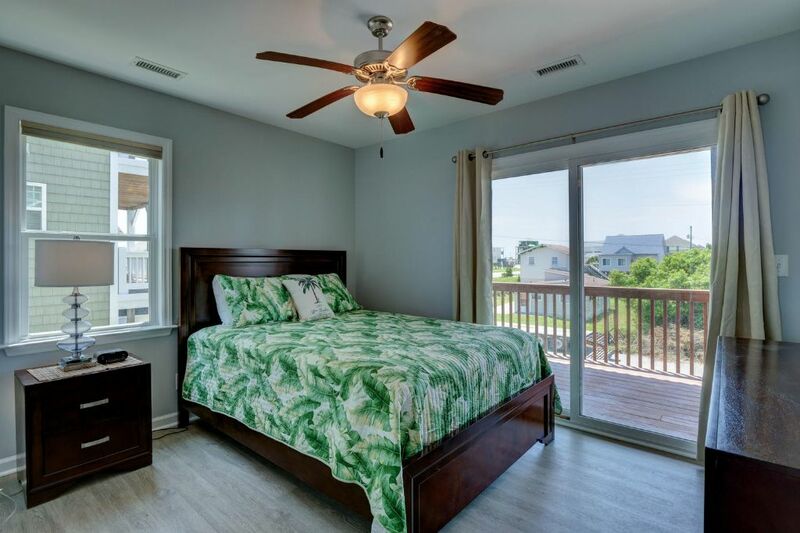 Each bedroom is beautifully furnished with coastal style decor, perfect for your newfound beach lifestyle. 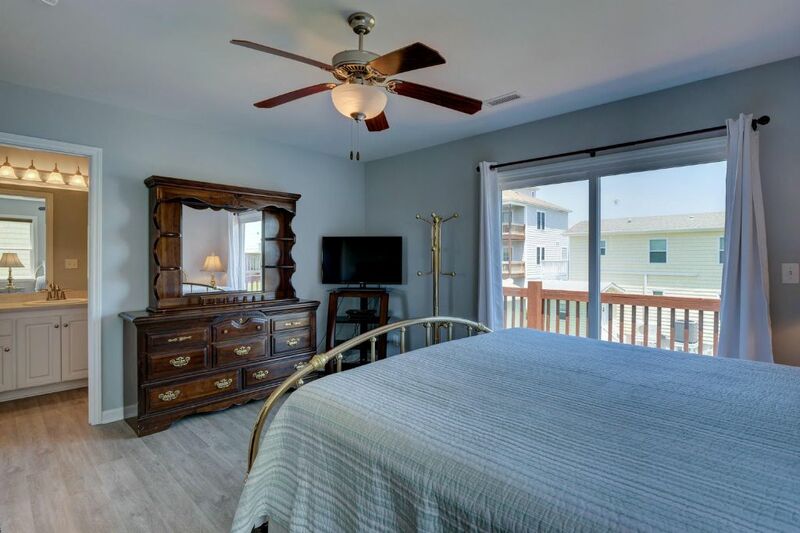 HDTV’s in each bedroom and the living area, plus Wi-Fi, multiple DVD players, and more provide you with all the modern amenities you desire for your vacation. 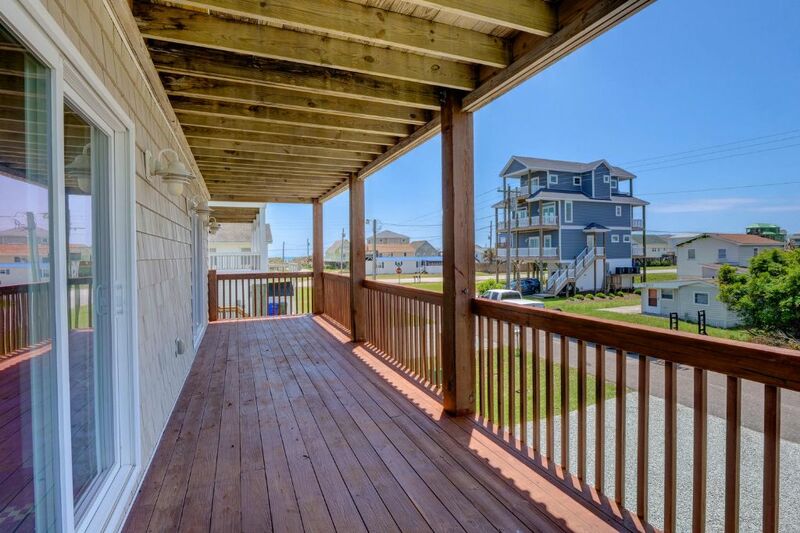 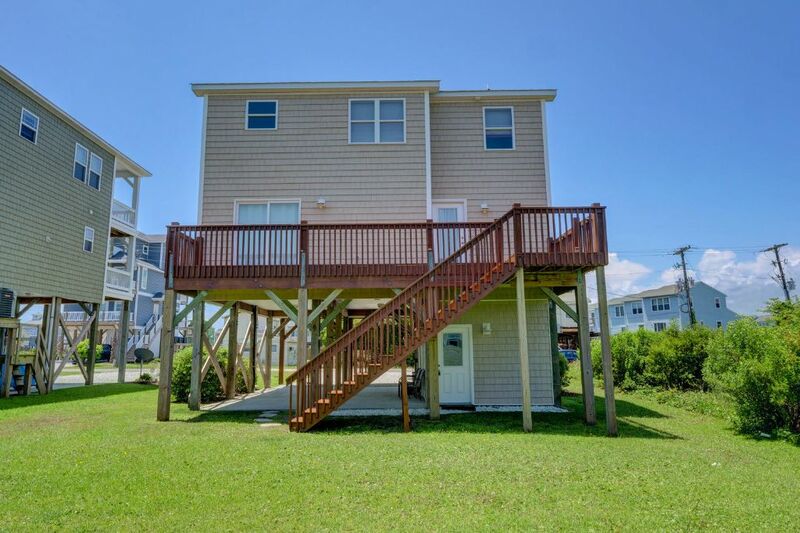 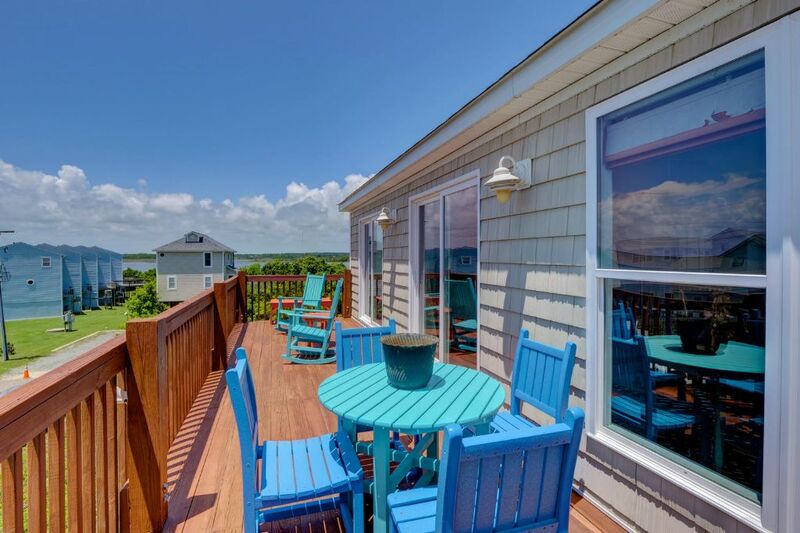 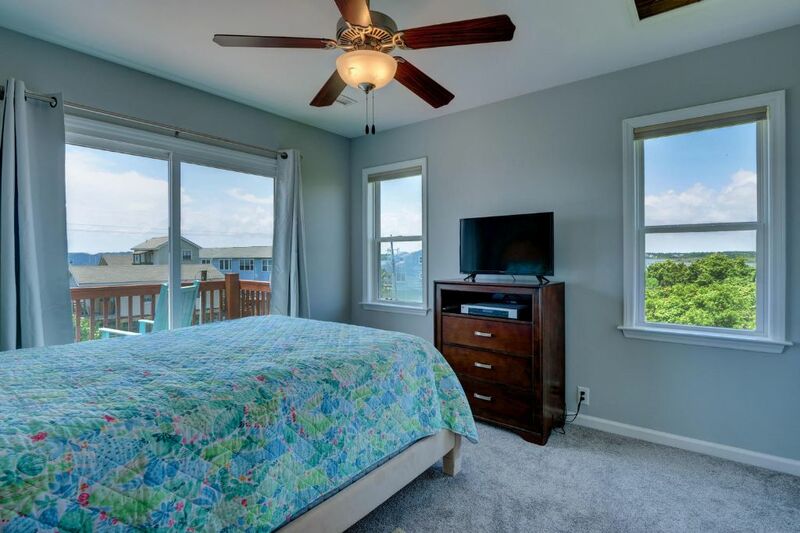 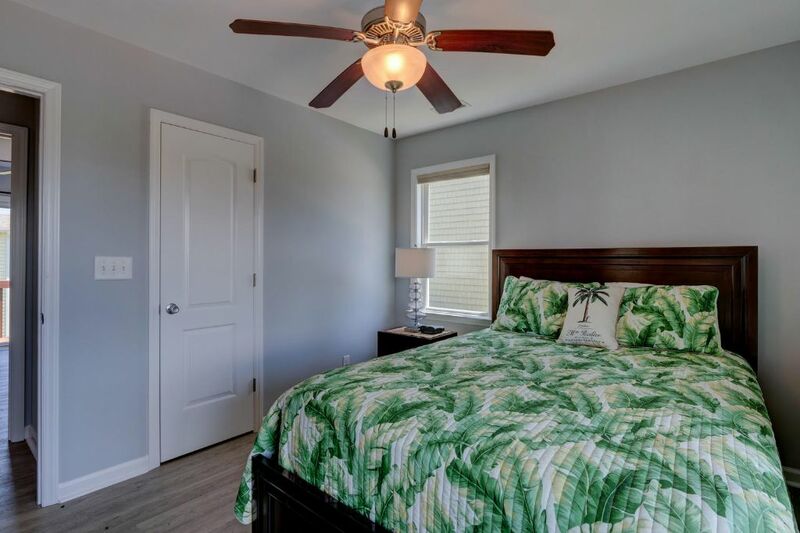 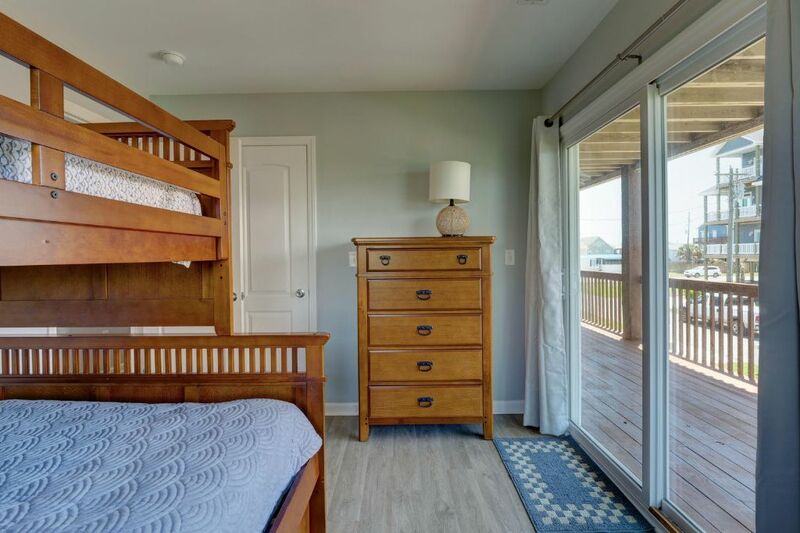 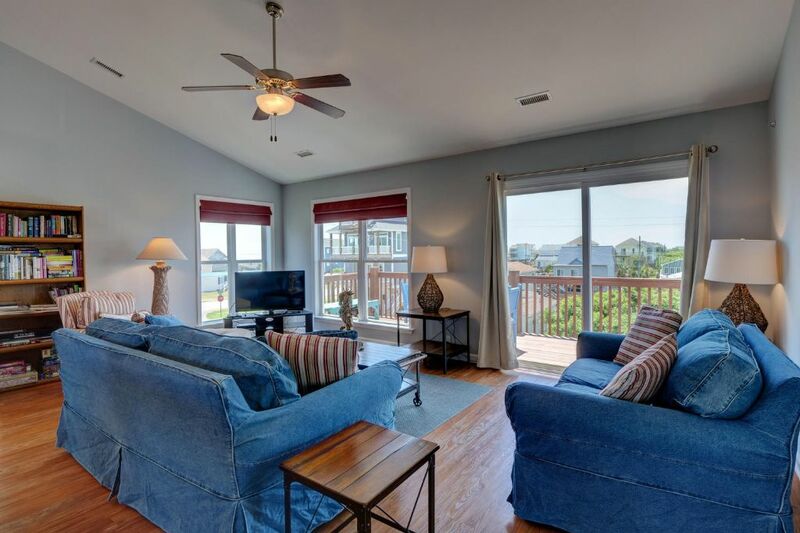 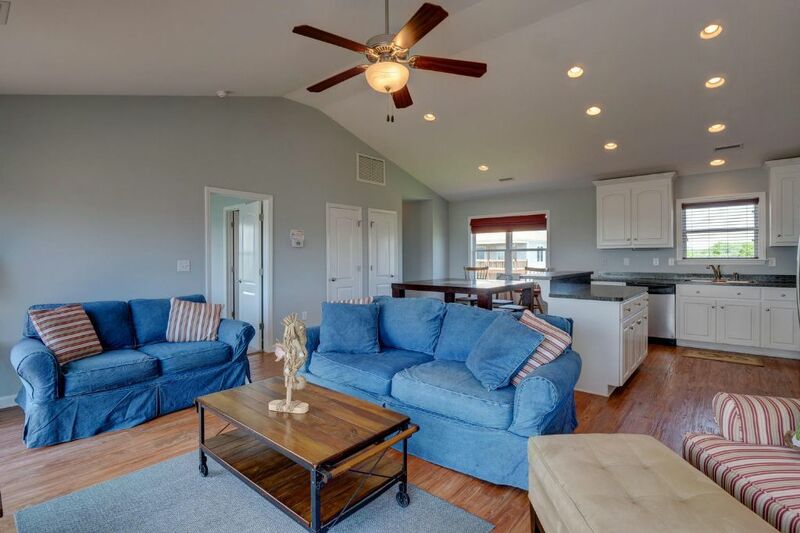 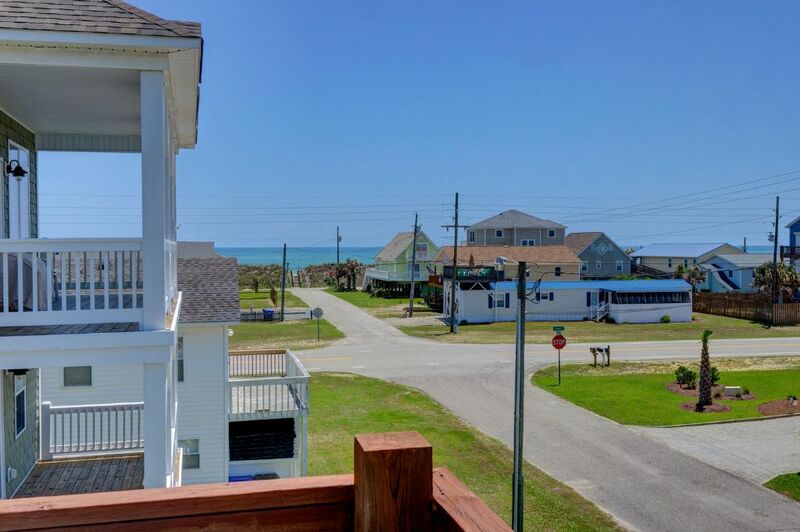 The spacious decks of this home are furnished with comfortable patio furniture for spending your days lounging and taking in all the sights of Topsail Island. 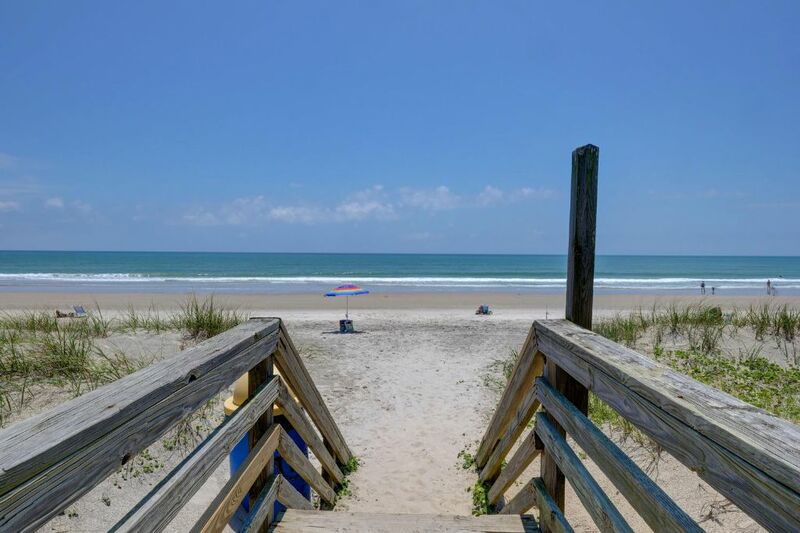 Take a short walk to the sandy coastline and spend your days under the sun. 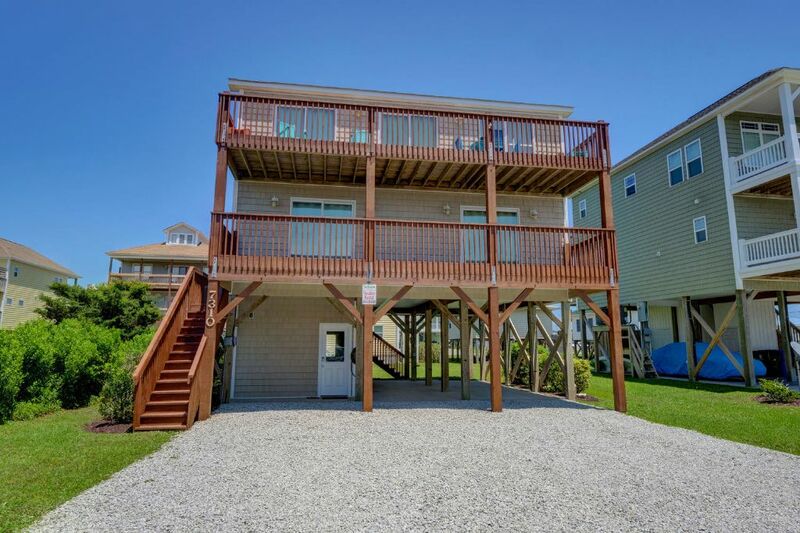 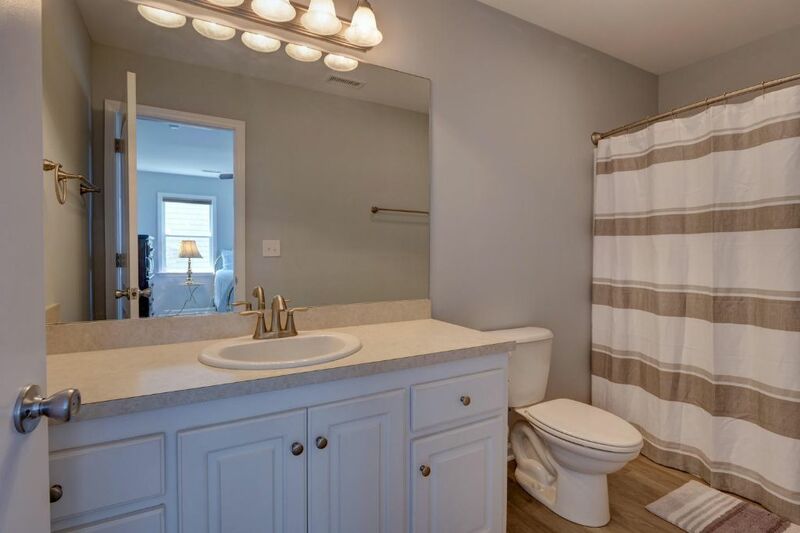 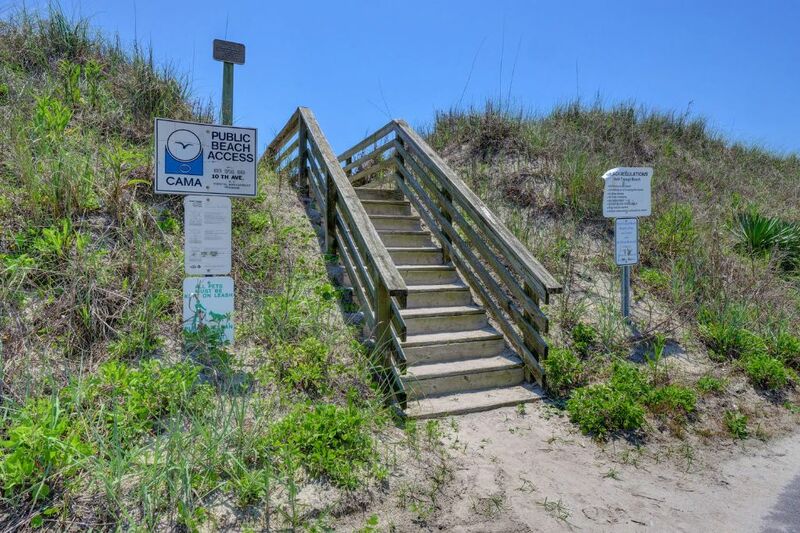 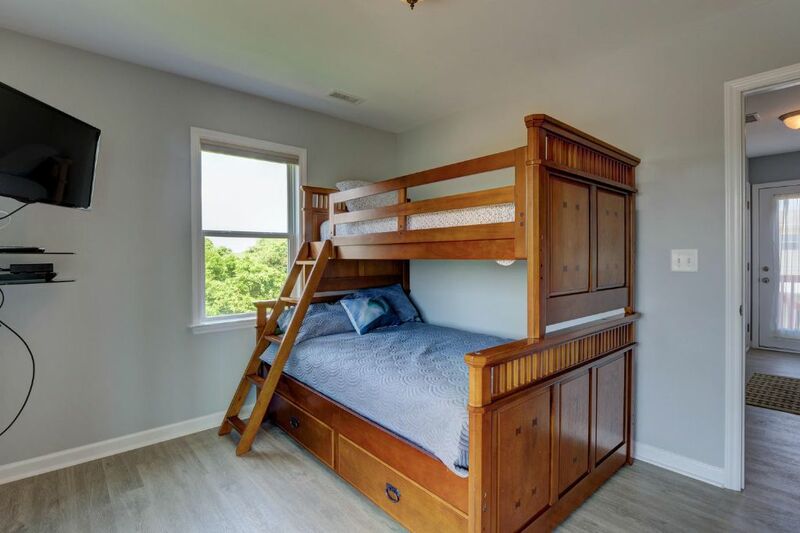 Come enjoy the comforts and amenities of this luxury vacation home, and make your dreams of a get-away to Topsail Island a memorable reality.